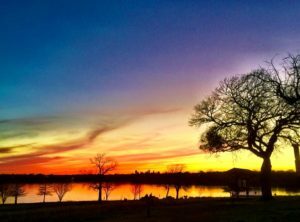 East Dallas neighbor Susan Remele loves White Rock Lake. She shared this gorgeous photograph she took of the sun setting during the last day of 2018. Congratulations, Susan! You just won a $25 gift card to a favorite local restaurant. Submit your favorite original photo of the lake or its surrounding areas to editor@whiterocklakeweekly.com. You may be our next winner!